Sign Shop in Columbus, OH | Commecial Signgage | DāNite Sign Co. 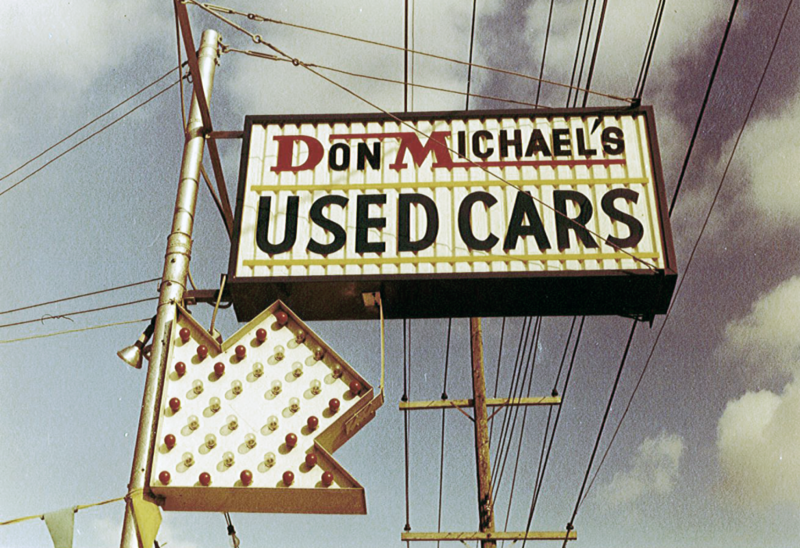 The original sign, after damage in an auto accident. The original sign, after DaNite Sign Co lowered it to the ground. 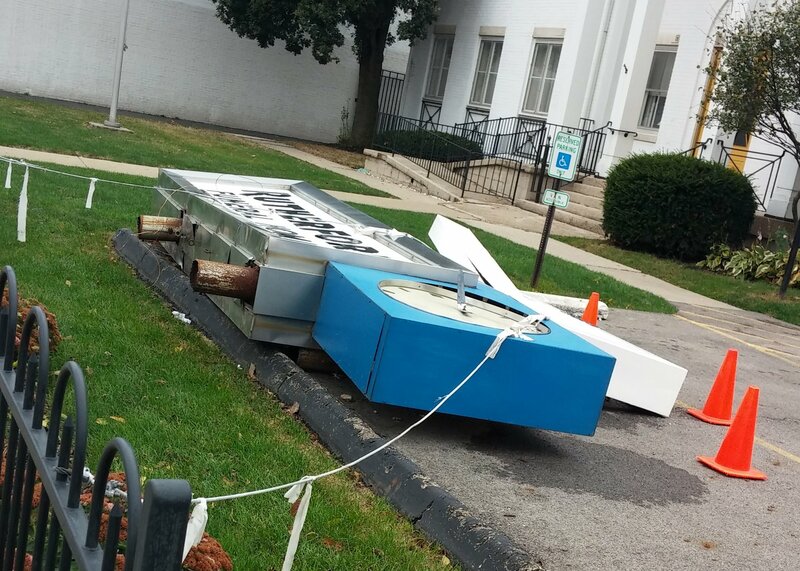 Damaged Rutherford sign, ready to be hauled away on DaNite’s trailer. 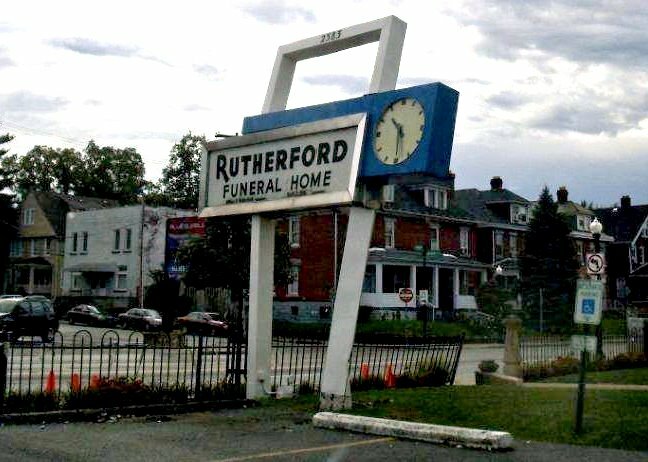 In the early fall of 2014, the iconic Rutherford Funeral Home sign at 2383 N High Street was damaged beyond repair when an automobile hopped the curb, overturned a decorative concrete column, bent a wrought iron fence, and sheared one of the sign’s support poles off at the foundation. 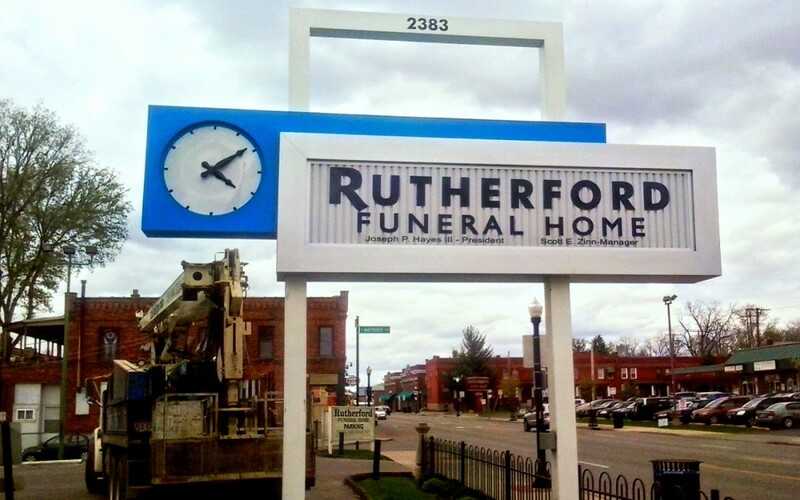 With its bold geometric design, top-conjoined dual poles, and working clock, the Rutherford Funeral Home sign was a modern masterpiece when originally installed. 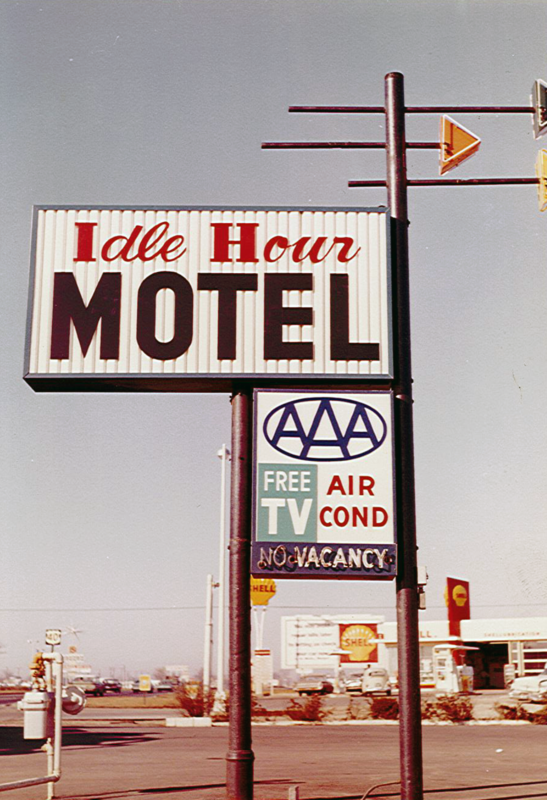 It proudly stood testament to a time of forward thinking and innovation since the early 1960’s. 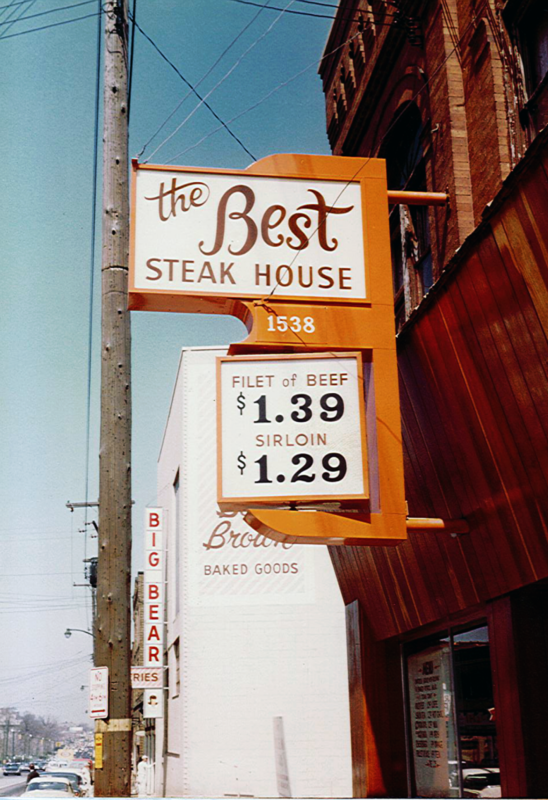 All who had taken the landmark for granted for decades seemed to miss it immediately. 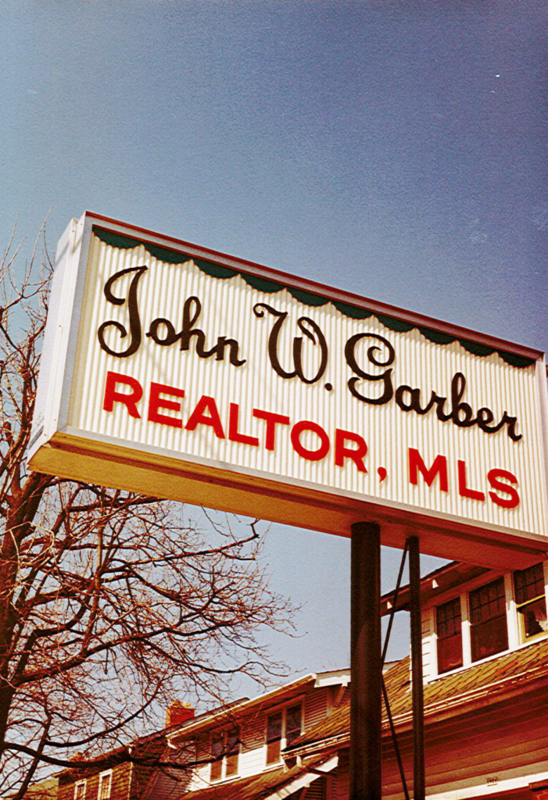 But despite the local love, the owners did not have an easy path to replacement. DāNite Sign Company was engaged to propose a replica sign with LED illumination to the Columbus Graphics Commission, University Area Commission, University Area Review Board, and City of Columbus Department of Building and Zoning Services. 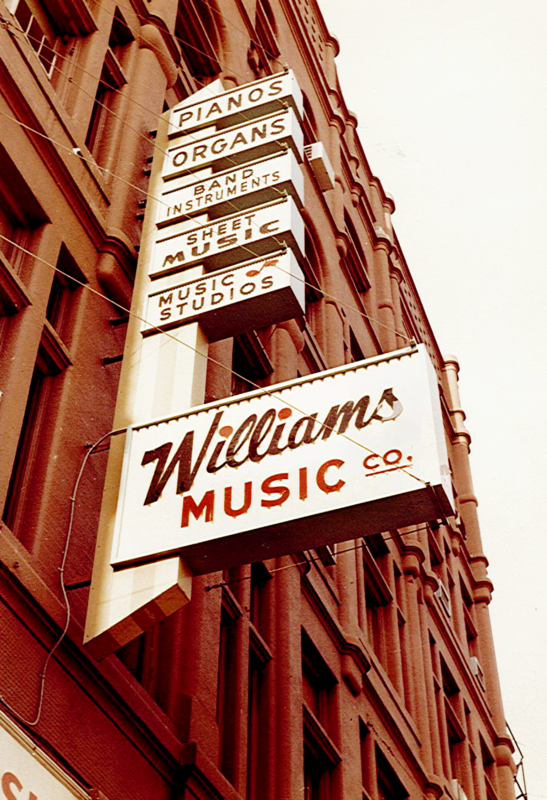 After unanimous approvals from all four entities, production of a vintage looking replica began. The new sign, with a retro exterior and fully modernized internal lighting, was finally placed back in its rightful home during April of 2015. Large sign faces require dimension for rigidity to avoid flexing and being blown out of their retainers every time there’s a stiff wind. Before modern technology existed for pan-form faces, the sign industry used V-grooved corrugated faces to solve the rigidity problem. Acrylic letters were then cut and glued, or screwed, to the translucent white corrugated face. 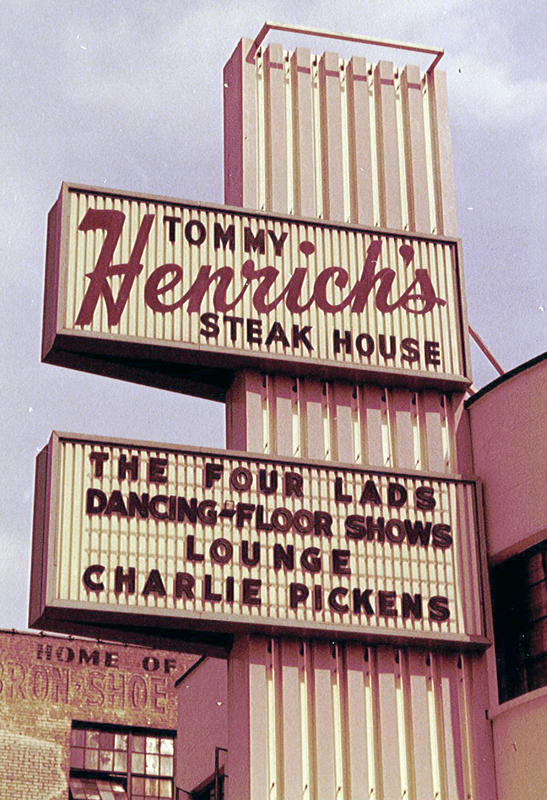 You rarely see V-grooved faces anymore, outside of an occasional changeable copy sign (where the grooves still serve the purpose of directing water flow behind the letters). Progress has rendered the corrugated face a visual time stamp of an earlier age. 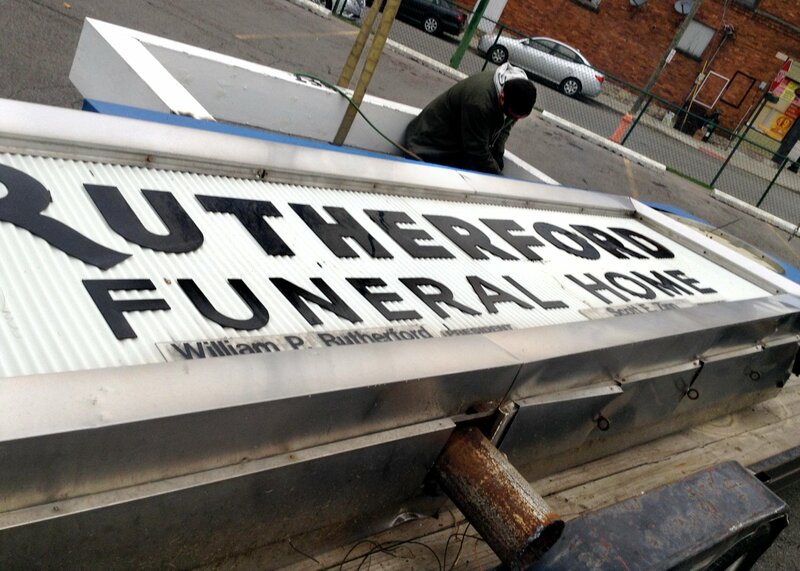 The Rutherford Funeral Home’s V-groove sign faces with routed acrylic letters are some of the many design elements that reinforce the retro quality DāNite was tasked achieve in this replica. 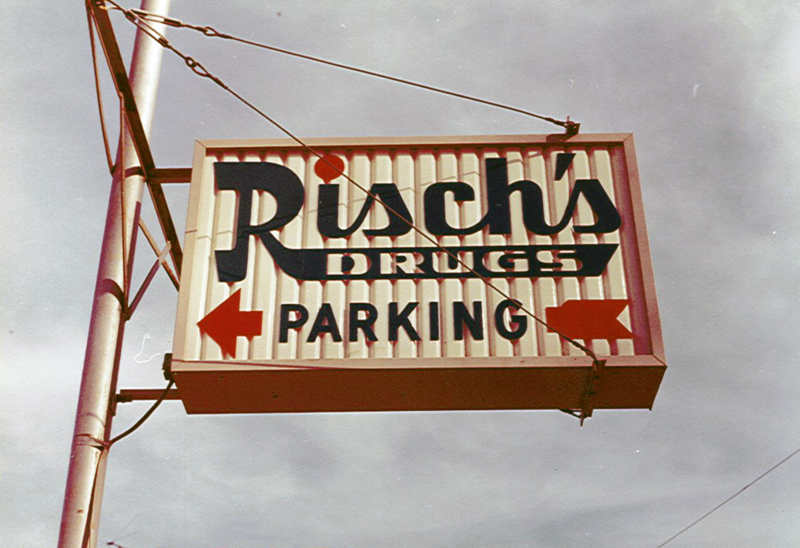 During the course of the new Rutherford sign’s production, a box of old photos was found hiding in the back of a closet. 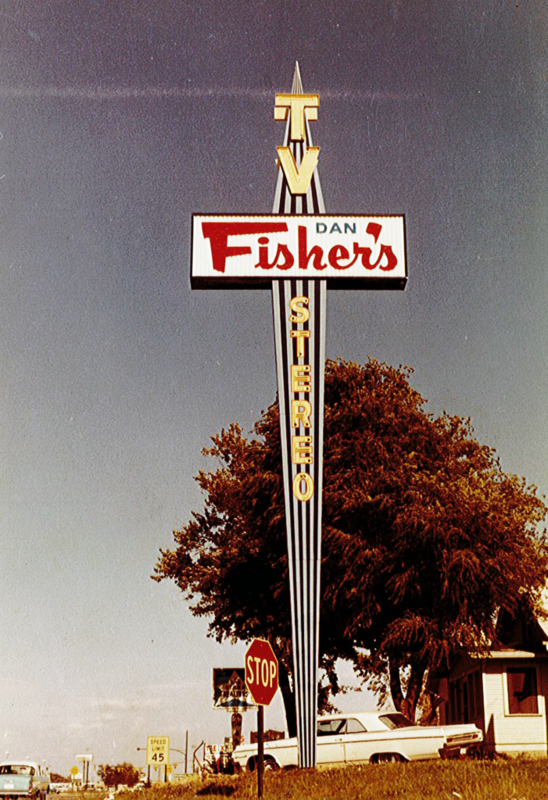 It contained a treasure trove (to a sign-lover’s eye) of vintage V-groove signs that DāNite Sign Company manufactured and installed throughout the 1950’s and 60’s. 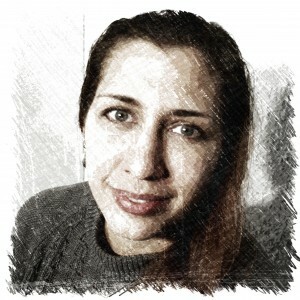 The office was all a-twitter. 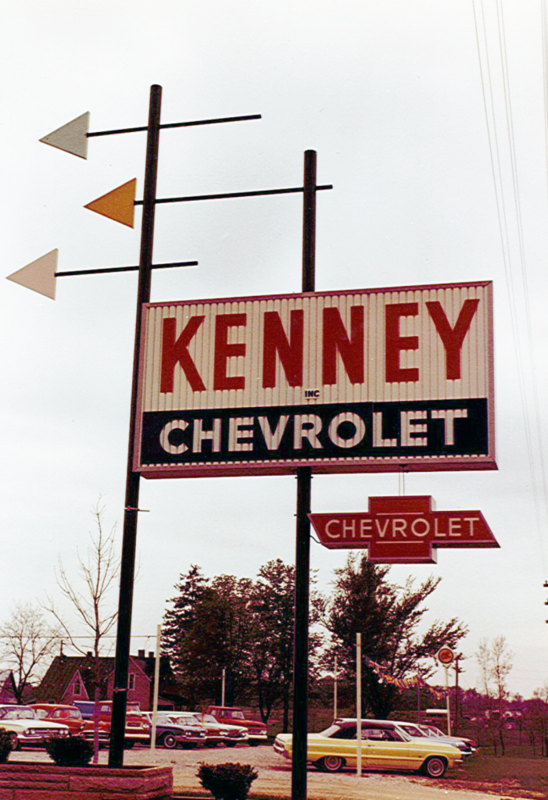 We thought we would share this exciting find to celebrate the installation of a replica vintage sign! 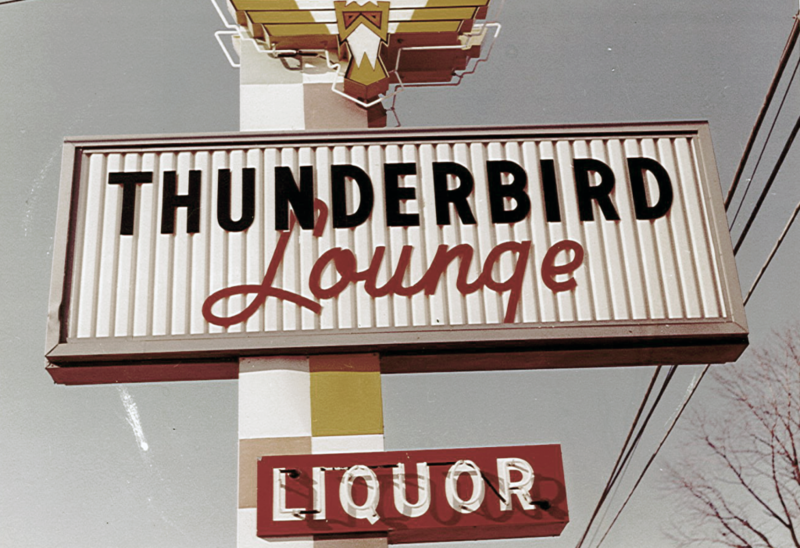 Keep scrolling down for a V-groovy blast from the past… (pun intended).